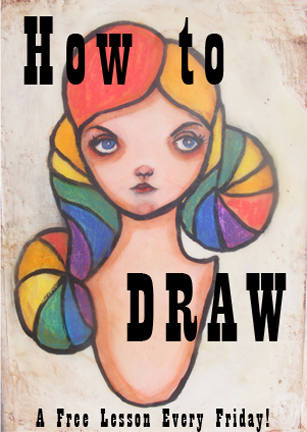 Thanks so much for joining me for part two of my FREE E-Course, How to Draw. 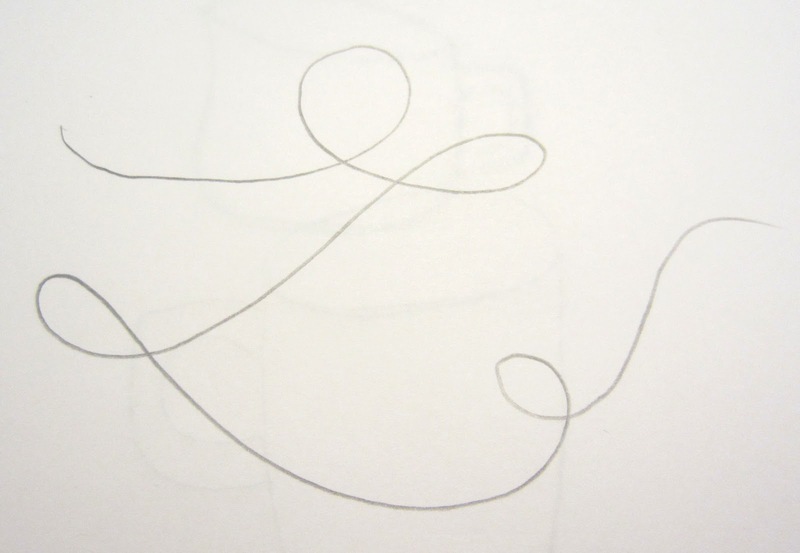 Today we will be talking about motivation to get you going, then we will do an exercise called the "Continuous Line Contour Drawing." 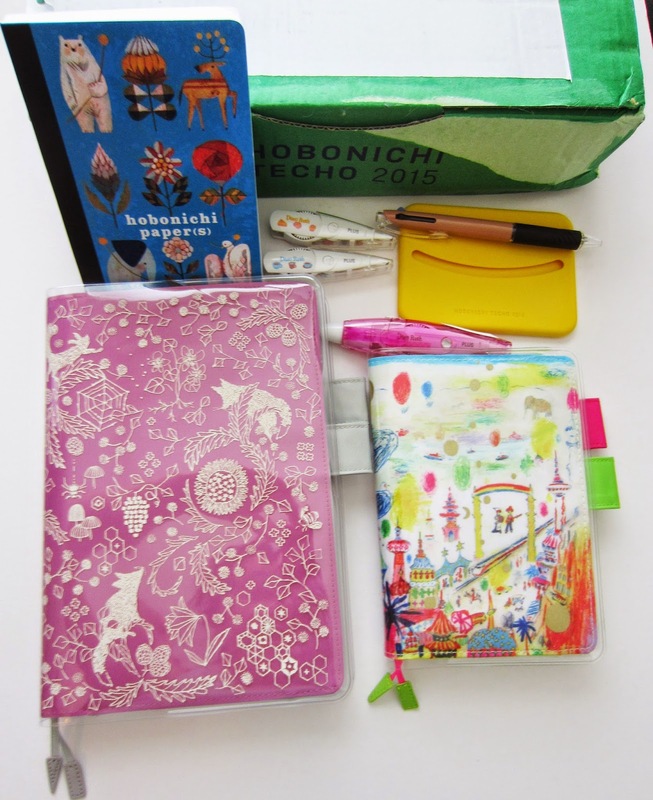 Grab you sketchbook, your pencil, and let's get started! I think that, for me, getting motivated to make art is pretty easy, but STAYING motivated...well, that is the hard part. I get motivated the most by seeing other people's creative work of any kind, usually through seeing art online, since my town doesn't have a huge representation of the types of art that interests me. You can read more about getting inspired by looking at art online in How to Draw, Part One. So I'll be online looking at all sorts of great stuff, then, all of a sudden, I will slam the laptop closed, run into the studio, and... And then sometimes that motivation will die there. I'll stupidly talk myself out of artmaking, using really lame excuses like: "Oh, I don't want to have to get all the paint out." or "I can't find my favorite brush/pencil/palette." I'll let things like laziness and self doubt get in the way. If I start thinking like that, I have to basically decide to stay in the studio and not leave until I at least take out the supplies. That pretty much does the trick for me: once the supplies are out and I see them all laid in front of me, I usually get so excited that I will start drawing or painting or doing whatever project it is I was thinking of doing in the first place. 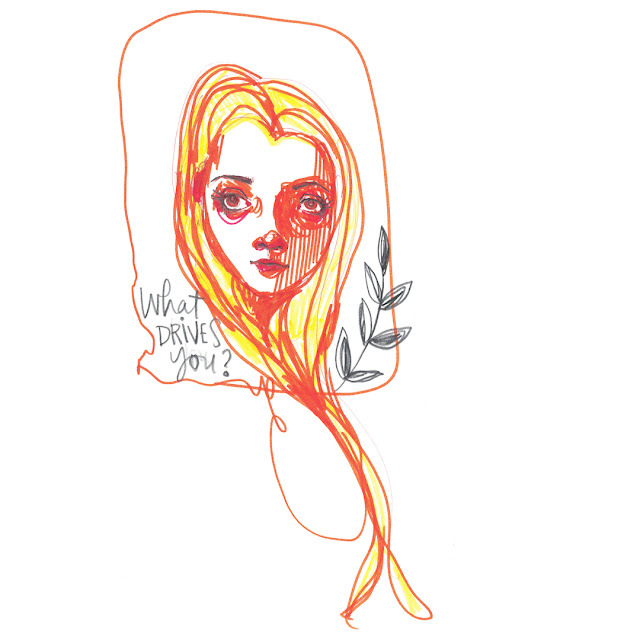 Take out your sketchbook, run your hands over the paper, sharpen your pencil... Motivate yourself anyway you can and figure out what works for you through trial and error. Right now, I have a daily log that I made for myself where I can check off if I did any of the following things: "draw in sketchbook, write in journal, clean the house, exercise, tweet, blog, post on Instagram, etc..." I don't have to do these things every day, but it helps me keep track of my progress and see what I am neglecting. Maybe making a little chart of some kind will help you out too if you want to make drawing part of your daily routine. Rewarding yourself is a great motivator too. For example, let's say if you draw in your sketchbook every day for a month, you get to go and pick out some great new art supplies to play with at the art store! Pencils and pens and paper...yum. 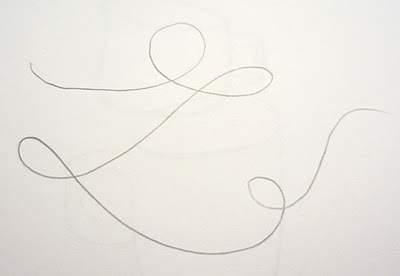 A continuous line drawing is a drawing that is made up of one long line that never stops. 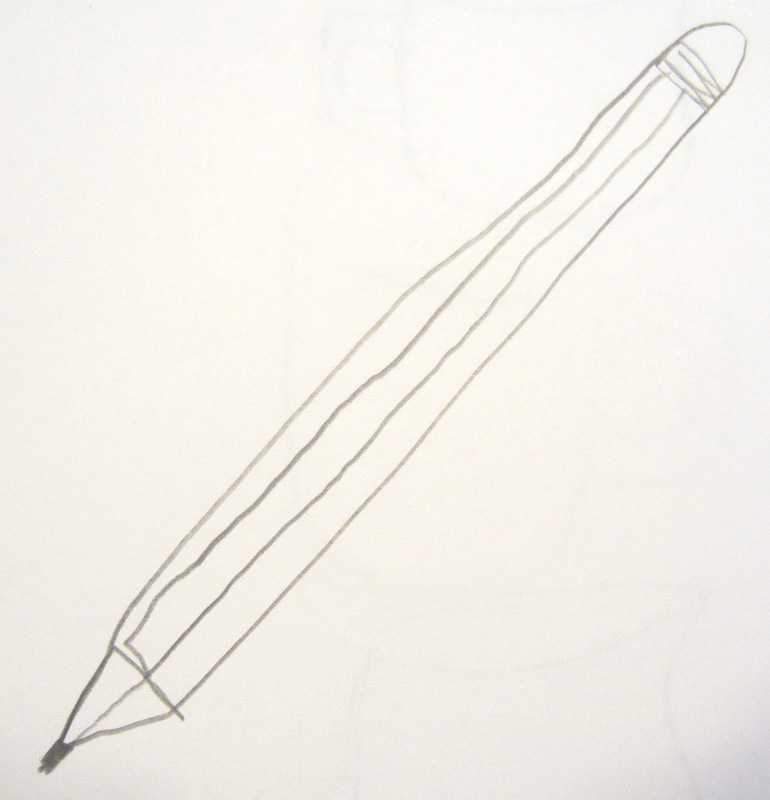 Basically, your pencil will start touching the paper, then it won't leave the paper until you are done. 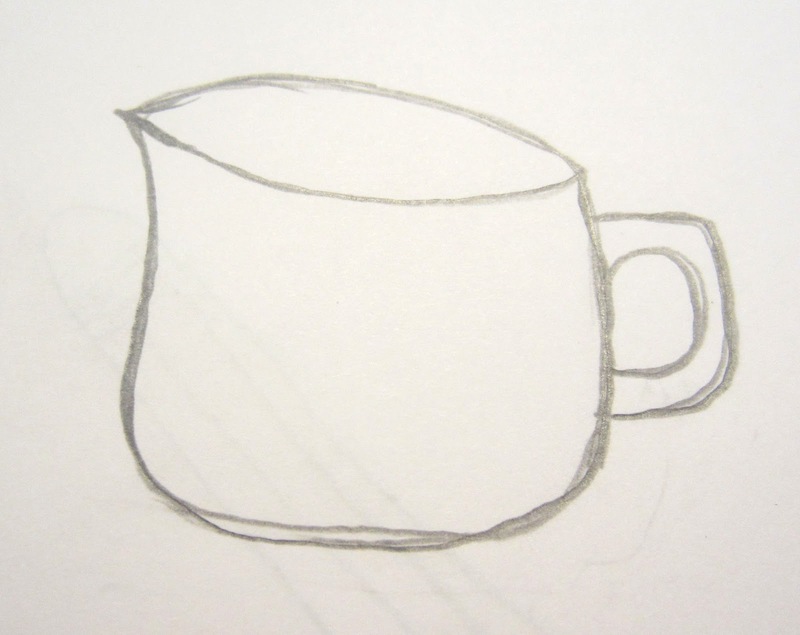 A contour drawing is a drawing that has no shading and is basically an outline of the object you are drawing. 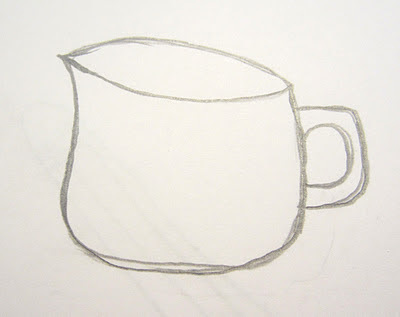 Keep following the blog - next Friday, there will be another drawing lesson. The lessons will become a bit more in depth each time. These lessons are totally free, but if you enjoy the lessons and plan to follow them, I would really LOVE it if you would follow the blog and/or add a comment below to say hello... I love reading and responding to comments, and they totally motivate me to keep posting! Hi, I accident came across your site today and wanted to thank you. I have dedicated the last 21 years to family and let my passion for art and writing die. I've been wanting to come back for years, but felt intimidated, completely lost and not knowing where to start. This is prefect. I will be here every Friday. Very much appreciated, keep up the awesome job and thank you. Thank you so much for your wonderful comment!! Your words meant so much to me, and I hope I can help you integrate creativity into your daily life. I am so glad you found my site, and I look forward to sharing more creative experiments with you in the future! Thank you for being here. Baby Tattooville Art Jam Video! Tutorial: How to Antique Paper, Fast and Easy! Introducing The 30 Goslings in 30 Days Challenge!